Last week, I was getting into the shower and I wasn’t going to wash my hair. Let’s face it, I don’t wash my hair that often. I am so glad that it has been proven to be healthier to not wash your hair, because let’s face it, I didn’t wash my hair often before that was said. I hate washing my hair because it means I actually have to dry it and style it. What a pain, right? Well, last week I put on my shower cap and my daughter saw me. In that two year old brain of hers, she probably thought that aliens had tried sucking my brain out of my head because that is how she responded. She screamed, cried, and went and hid under a chair. I am pretending it is because I had the shower cap and not because she saw me totally naked before hopping in the shower. THAT, my friends is probably enough to scar a child for life on its own, but I am hoping it was just the shower cap! The reason I share that semi humiliating story with you is to point out just how much I dislike washing my hair. Next to washing the dishes and vacuuming, it is one of my least favorite things to do. I do however think it is important to really treat your hair well, starting with what products you use in the shower. One of my favorite ways to really get my hair healthy, is with hair masks. 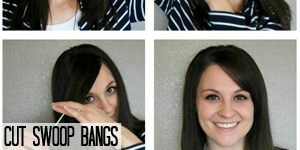 Hair masks are great ways to get your hair the extra kick of nutrients it needs. 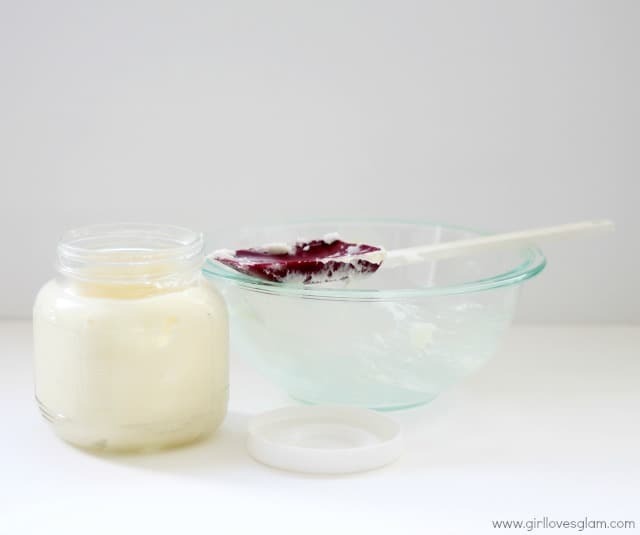 I like to make my own hair mask because I know it isn’t going to be full of random, harmful ingredients and it will is much cheaper to do it that way too! 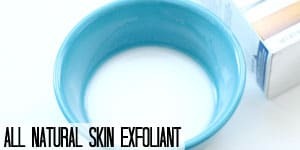 This hair mask is easy to make and is made from products that you probably already have at home! You will have no excuse not to treat your hair with a little r&r now. 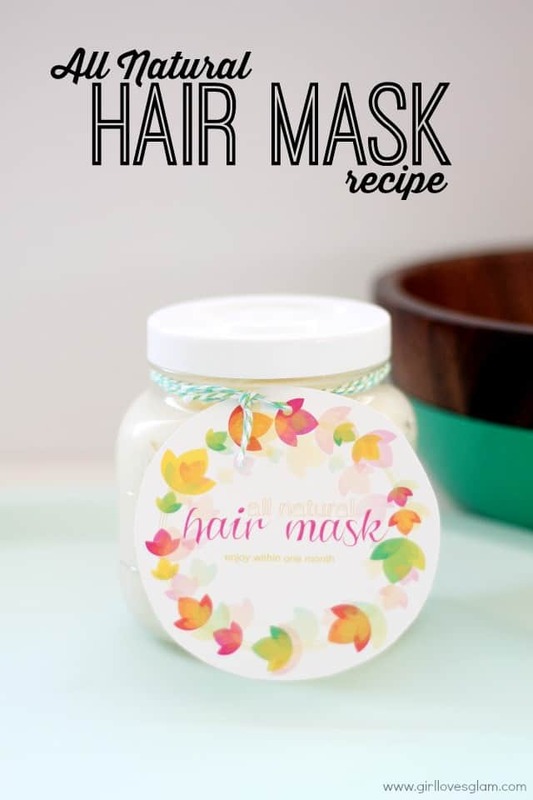 This hair mask consists of four ingredients. There is a reason for each of these ingredients. Coconut Oil- Coconut oil is a natural conditioner for your hair. It will make your hair feel silky smooth. Extra Virgin Olive Oil- This is also a great conditioner for your hair. It is also really good for damaged hair. Honey- Honey helps add the glow to your hair that is probably long gone. It adds moisture and makes your hair feel exquisite! 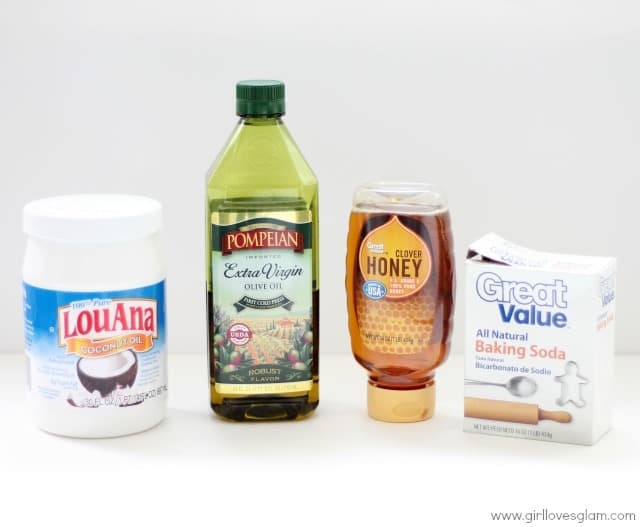 Baking Soda- Baking Soda will help eat away some of that hair product that gets stuck to your scalp and hair. 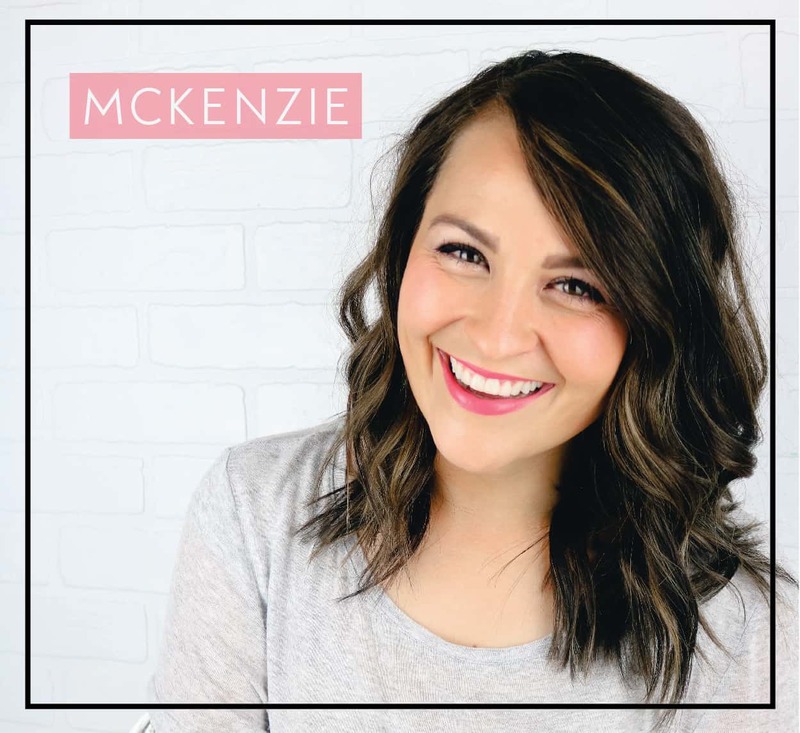 Now that you know a little bit more about why I use the ingredients I use, now it is time to make your homemade hair mask! Put all of the ingredients in a bowl and mix together with a hand mixer, or put them in a blender and blend them all together until they are mixed into a cream. I use a hair mask about once a week. Note, this hair mask WILL make your hair look greasy! I repeat… this hair mask will make your hair look greasy! BUT it is only for the first day after you put it in your hair. That is why I recommend washing your hair at night once a week, putting the hair mask on in the shower, letting it sit on your hair while you wash your body and shave your legs, then rinsing it out. Then in the morning you can wash your hair again like usual. 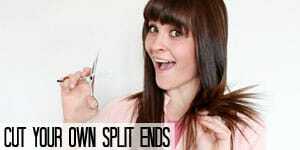 This will cut down the greasy look a lot. The grease you will see is actually just the coconut oil that is sitting on your hair. It is good to have the oils sit on your hair so they can really soak in, so if you have a day that you know you will just be hanging out at your house then use it on that day so that your hair will look greasy all day and night instead of just at night while those oils really soak in. 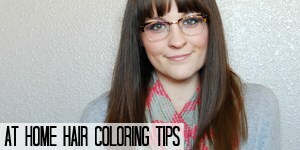 Your hair will feel amazing when you wash it again! Another thing to note is that this recipe will make enough for me to use about twice. For the jar that is pictured, I had to triple the recipe. This is a great gift to give your friends who seem to have everything. I recommend doubling or tripling the recipe (maybe even more if they have more girls in the house too) and putting it in a jar with this cute little printable that I made for it. They will love it! Just make sure to tell them how to use it so they don’t secretly hate you for making them look like they have greasy hair when they decide to use a hair mask on the morning of their wedding day or something. To print off your own printable tag, just go to this link HERE. Save the image and print it off. I just punched a hole in the top and tied it onto the jar with some twine. Cute and easy! 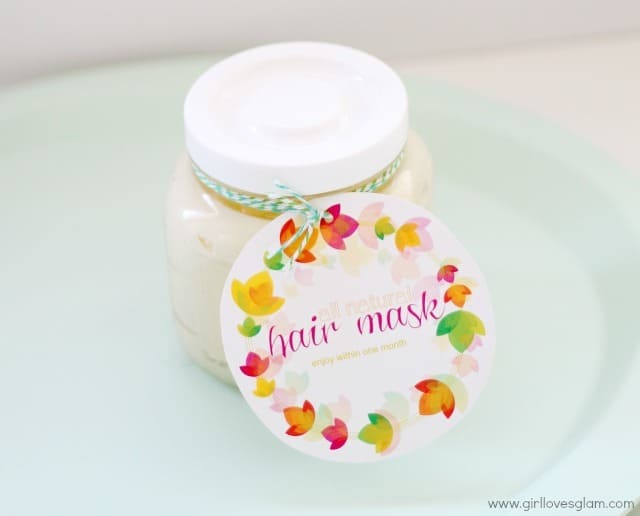 This hair mask is also great to give as a gift with this face mask too! 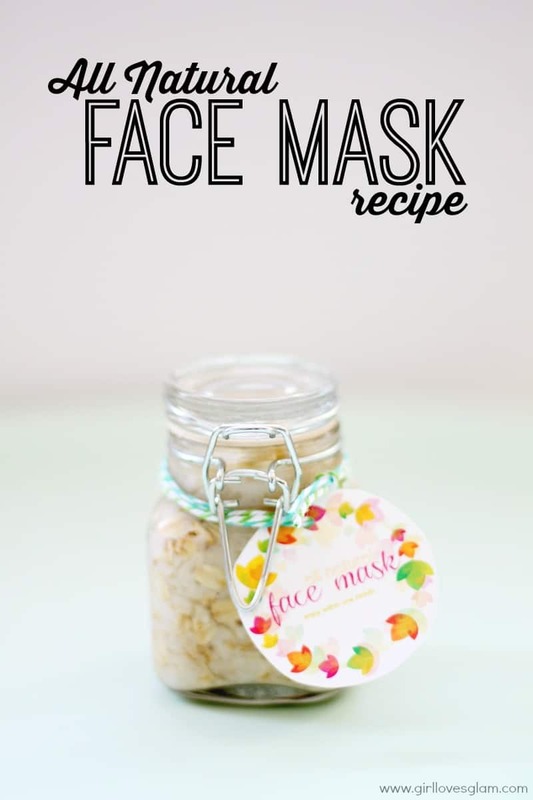 You can find the recipe for the face mask and the printable to go along with it HERE. 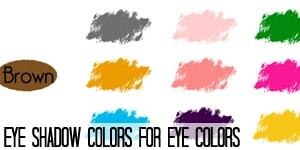 Don’t forget to check out these awesome beauty DIY’s too! Click on the photos to take you to each post. I have weird skin. In professional terms, it is referred to as “combination skin”, but let’s be real honest and say that it is just weird. One minute I have sad dry skin. The next minute I have oily acne prone skin. The third minute (which is actually more like 10 seconds) I have nice baby smooth skin. That third minute (10 seconds) usually comes after I have treated my skin with something special, like a face mask. I always love the way my skin feels after I put a face mask on. My problem is remembering to use them! I try to come up with a mental schedule of when I need to use a face mask so that my face doesn’t have to suffer for so long in between treatments. My favorite face masks to use are homemade ones because I know exactly what I am putting on my skin. I like to know why I am putting each ingredient on there too so that if I have a certain problem with my skin, I can know what ingredient I need more or less of. 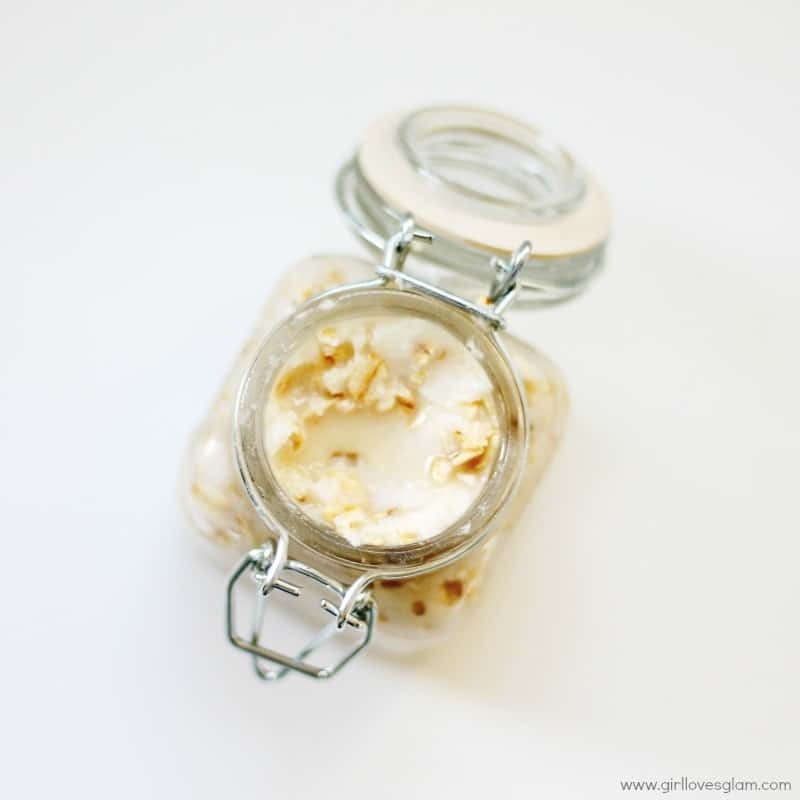 I am going to share with you one of my favorite homemade face masks today! In this face mask, I use oatmeal, honey, coconut oil, and lemon juice. If you really wanted to, you could put this face mask on your face and then eat it all. I don’t recommend it though… we might think you are weird. Here is why I use each of these ingredients. 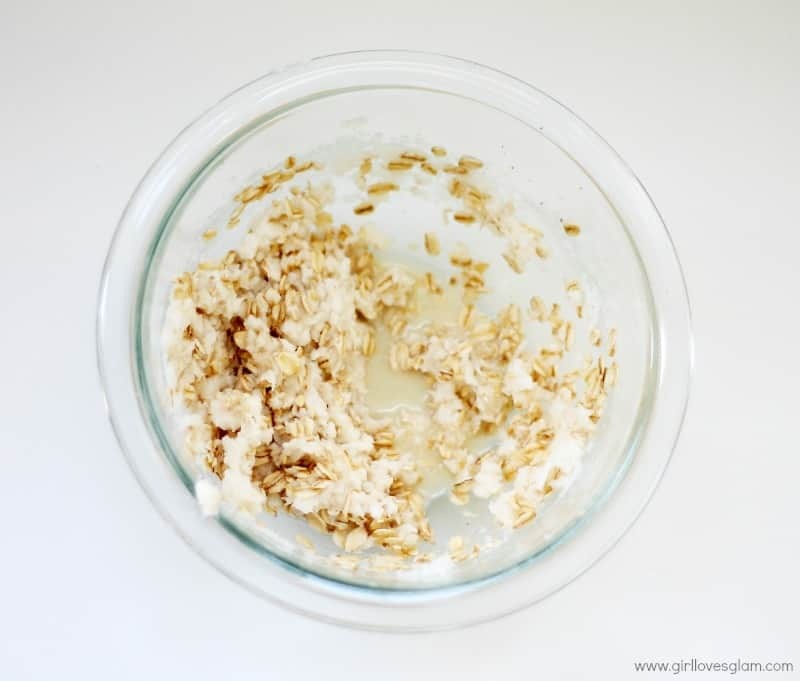 Oatmeal- Oatmeal adds moisture to your skin and gives it a healthy glow. Honey- Honey is also a great way to add moisture to your skin and brings out the gorgeous glow in your skin. Coconut oil- Coconut oil is a natural conditioner. It helps get the moisture really deep into your skin. Lemon juice- Lemon juice will help get rid of impurities and close your pores to help make your skin look nice and smooth. Now to make your own face mask. Put ingredients in bowl and mix together with a hand mixer. This recipe makes enough for about 3-5 facials. Put it on your face after you wash your face and let it sit for a few minutes. Keep it away from your eyes. The lemon juice can really hurt if it gets in your eyes! Wash it off of your face and your skin will feel fantastic! This facial mask makes a perfect gift too! I have created a free printable that you can find HERE. 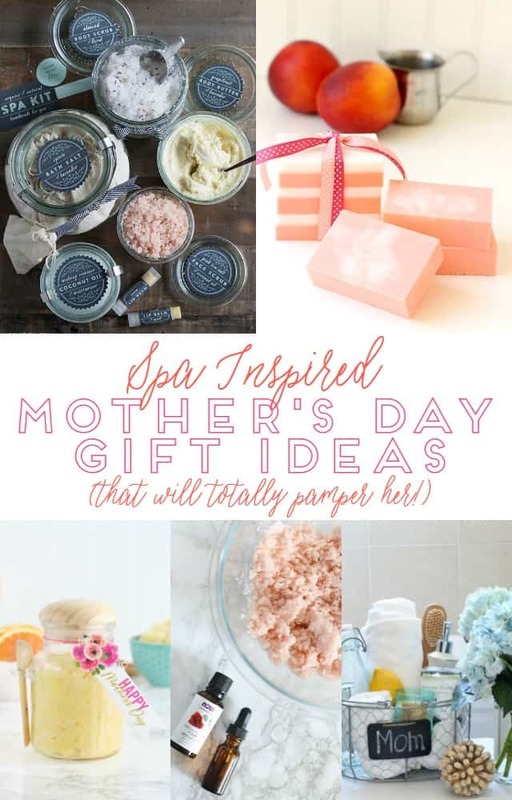 Simply save the image, print it off, and tie it onto the jar of facial mask as a great little gift for the girl who has everything or a neighbor who just needs to know you are thinking about them. 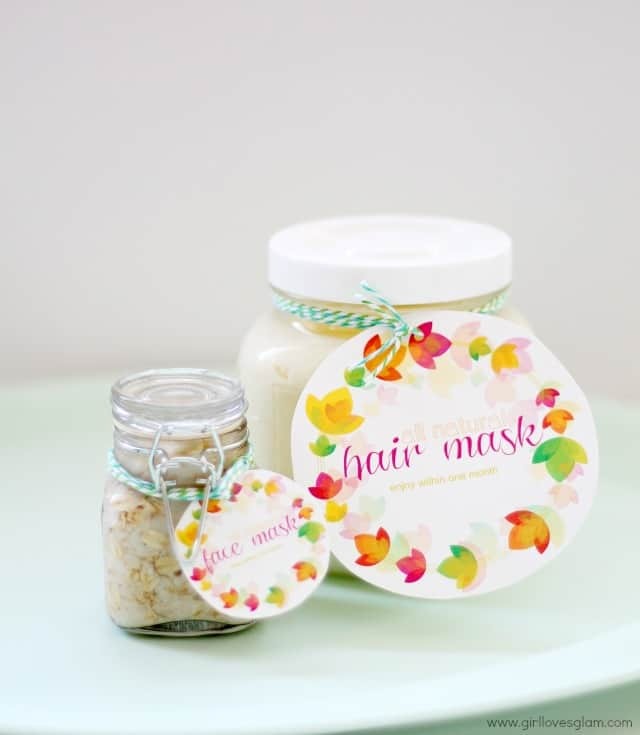 Be sure to be on the lookout for the all natural homemade hair mask recipe coming to the blog soon! You can find it on the Snap Creativity blog today and you can find it here next month! It is the perfect companion to the facial mask and would be a great gift! 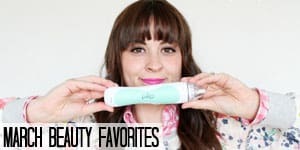 Since I know you loved this post so much, check out these other great beauty posts too!